Resolve problems right as they appear. It’s much faster than exchanging emails every couple of hours or making your customers hang on the phone when stuck in a queue. 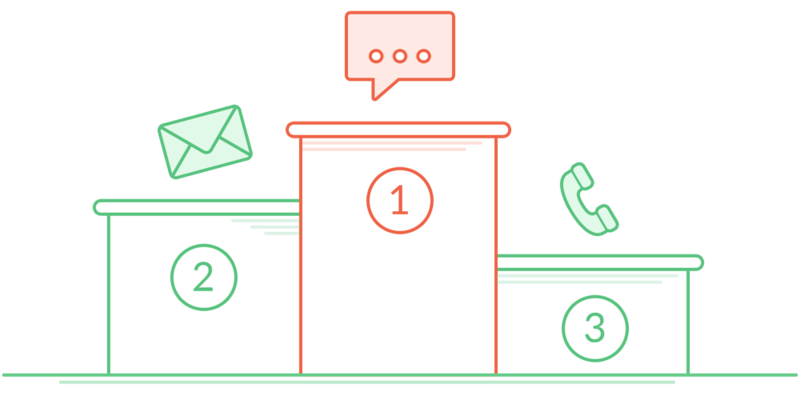 With LiveChat, you will be able to answer seconds after the question is asked, which makes for one amazing customer service. You don’t have to learn LiveChat to use it for customer service. 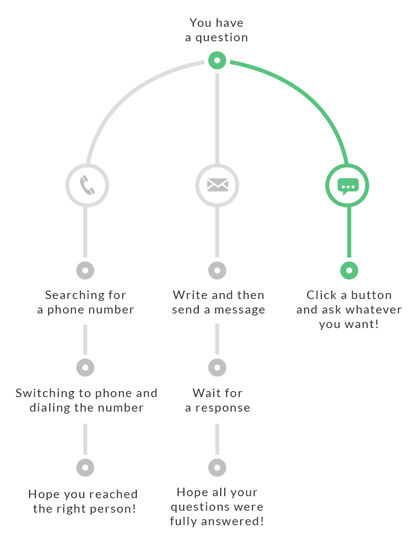 It’s just as simple as writing a text or instant message. Your customers will know exactly what to do to reach you. The same design philosophy makes our applications so agent-friendly. No need for weeks-long training – you can learn the essentials within minutes. Your customer service cases don’t have to drag over several emails, calls and, most probably, weeks. You can get all the information you need to handle a case and resolve it in one touch through LiveChat. 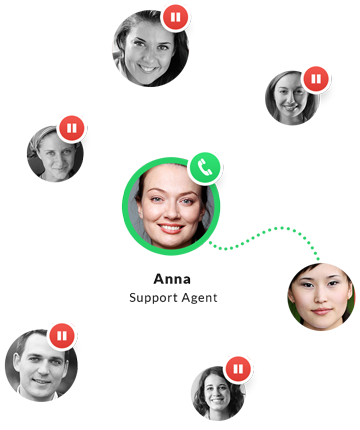 When was the last time you had a phone call with 6 customers at the same time? In LiveChat, that’s business as usual. You can easily service several customers at the same time. Now that’s efficiency! LiveChat comes with a range of reporting and managerial options that will allow you to fine-tune your customer service. It crunches all the numbers for you so that the next step toward better support is always visible. Nothing beats chat when it comes to customer satisfaction. No other channel offers the same kind of convenience and effectiveness as a quick chat. It’s the go-to support solution customers pick when facing a problem on a website. 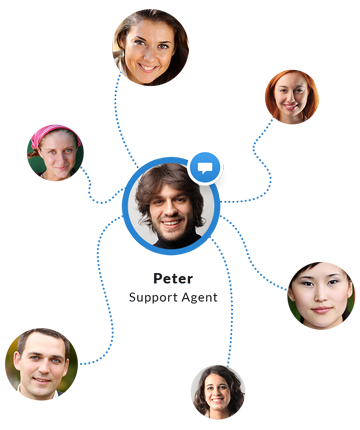 Enterprises seeking customer service software love LiveChat too! Chats don’t put you on hold, it’s easy to use, it’s a constant experience. Customers prefer it over phone. Try LiveChat for customer service! 5-minute setup. Test out the Team plan features for 30 days for free. No credit card required.